Italy: New Eldorado for Pensioners from all Around the World? 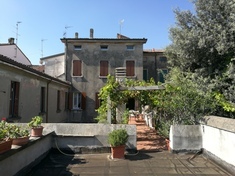 One of the key reasons for the increased demand for Italian homes for sale is the country’s unique cultural flavour and a huge potential for economical growth. The Italian property market provides plenty of great options for both local and foreign home investors willing to buy houses in Italy, ranging from gorgeous homes in famous cities and seaside resorts to enchanting countryside locations yet to be discovered by foreigners. A growing number of European home buyers and real estate investors are now turning to Italy due to the country’s rich cultural heritage, scenic landscapes and clean shimmering lakes, elegant architecture, and the trendy fashion and shopping experience the country provides. Although properties for sale in Italy are a bit costlier in popular locations such as Tuscany and Umbria as well as in major cities including Rome, Florence, Milan, and Venice, there are other emerging markets such as Puglia, Calabria, Sardinia, and Abruzzo with considerably cheaper prices. As a member of the EU with comparatively better prices than most exclusive European locations, Italy is emerging as the preferred investment destination. Many overseas investors can attest to the fact that Italy is an easily accessible land served by regular flights and seaports linking the country to all the major European cities. The Italian government has also been quite responsive in enhancing the tourism industry making the country one of the most visited destinations in Europe. Economically, investing in Real Estate for sale in Italy provides a great profit potential since the country does not impose capital gain taxes for profit gained from buying property in Italy. Furthermore, investors can acquire Italian citizenship and acquire Italian property for sale at significantly reduced costs. Italy is a treasure trove of real estate gems with tempting yet inexhaustible options. Lakeside properties around Lake Garda and the more popular Lake Como continue to be top choice for international celebrities and other foreign buyers. 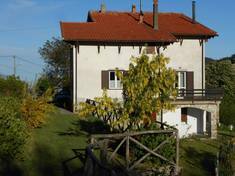 Tuscany has often been cited as one of the most attractive regions to buy house in Italy. The prices in Tuscany are however higher than in other similarly attractive locations. Calabria is a great alternative with lower prices and scenic mountainous views. Buyers will also find the Apulia region quite attractive with very affordable homes for sale in Italy. This southern Italy region is well known for olive oil and wine production. It is also home to the internationally recognized Trulli properties made of dry stone slabs and with conical roofs. The region has two coastlines touching both the Adriatic and Ionic seas with numerous beach properties and more affordable homes inland. On the west coast of Italy is Sardinia, the second largest Italian island in the Mediterranean Sea, which is a major tourist and property investors’ destination in Italy. Le Marche is another popular region with very attractive property prices in Italy. The Marche region is dotted with quaint picturesque towns and seaside resorts with some of the best homes and apartments for sale in Italy. The region boasts of having excellent wines and cuisine. 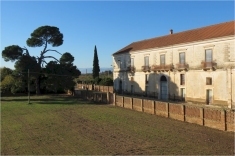 It is quite possible to get your dream home, mansion, or even villa at very attractive prices in the Marche countryside. Italy is blessed with an abundance of great locations to buy your dream home making it essential to thoroughly explore different locations before making up your mind.  In addition the Bel Paese provides investors with a wealth of different and unique styles to choose from. They go from the most popular stone-built farmhouses (‘casolari’) in Tuscany, to the yellow brick farmhouses (‘case coloniche’) in Le Marche, the trullis in Puglia, or the stazzo in Sardinia. Gate-Away.com, the only Italian property portal dedicated solely to foreign users, puts all its efforts in selecting the best estate agents and properties in Italy for sale in order to help you find your dream properties and make the purchase process a much easier experience.